Just bought this phone and would like to know if there is any way to turn off the really annoying sound when you open or close the clamshell.Other than this looks like a perfectly adequate bit of kit (as a phone). Marion check your mail, I just sent the manual. The usb connection appears to be for power only, unless I need software for windows 98 to make it work. in which countries is alcatel brand found? The phone is compatible with mp3 ringtones, but it has no expandable memory, as it is not meant as an mp3 player. Woolies Lad Walsall, 31 Oct 2008I work in the local woolworths store where this phone is sold and apart from the awful colours... moreBet you don't have that problem any more heh? This phone can play mp3 as ringtone or mp3 ringtone. This phone can only accomodate fm music for you. The phone states it can play mp3s yet it only has 0.5mb of shared memory and no way to expand this. I'm confused. is it only stating it can play mp3s cause there are some mp3 tones pre-installed or am i missing something really obvious? wow ultra funky shizniz!!! get me in ya!!! ooooohhh they love it up them!! I would like to say thay Woolies lad is wrong, I worked on this phone during its development and it was virtually faultless, I still use my unit with pleasure and no problem at all! This is really a lot of value for money, for 25 Euro's you have a great looking clamshell phone with an fm radio and bluetooth headset compatibility (if you pick the S320). You can change the volume by going into the profiles menu... email me if you can not find it. 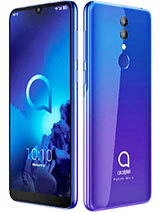 Also everyone else who has questions about this phone and other Alcatel products email me on un112@msn.com. I work in the local woolworths store where this phone is sold and apart from the awful colours it comes in I have lost count of the amount of these awaiting to go back for repair or the dumping pile. All customers have demanded the money they paid back. Even children found this phone to be horrid. Alcatels previous phone the Mandarina Duck was far superior to this item. Please, please avoid buying it or at least dont come to my store and waste your christmas money. 1. how long will the battery stands if i use it for normal phone (not radio or music) ? 2. is it easy to use ? 4. how bout signal reception ? Ok people... I got a very special question to you all. As you know Alcatel cares a lot about user feedback... and you have provided that plenty to them... and please keep doing that! Now however I have something else for you, the future. 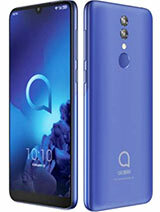 I mean... what would you like to see in the future from our beloved Alcatel brand. 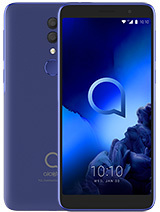 I am asking you people to send me your suggestions for Alcatel and I will forward them directly to the Alcatel product development and design team. You can send me all sorts of suggestions. If you have great ideas for design... show me... if you have certain wishes for technical specifications please let me know... is there a feature you would like to see in the future, email it to me and maybe there will be a new model soon which will have it. You shall have to be realistic in your proposals though... asking for a 10 megapixel camera with 1080P HD recording for instance will not be considered serious and disregarded. Also... if you have a bright new idea which could be nice to add to a phone email it to me and it might end up being used one day. Email all of your ideas and suggestions to my email un112@msn.com. 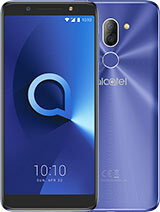 Please use the subject "Alcatel Future Proposal". DISCLAIMER: This action was NOT set up by Alcatel Mobile Phones/TCL or any of its related companies, it was set up by me an Alcatel fan! 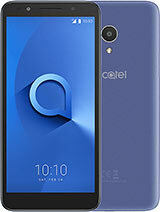 Submitting ideas does not guarantee that the ideas will be used in the future phones by Alcatel or any other brand. The submitting of ideas is done by your own free will. By submitting ideas you agree to distance yourself from any rights to the idea and will not take legal court action (to obtain financial gain or rights to the idea, among other things) if the idea does or does not get adopted in the future. The idea may be adapted at any certain point in time with alterations and without notification. This is only meant to exchange creative ideas! For more questions about this action please email me on un112@msn.com. 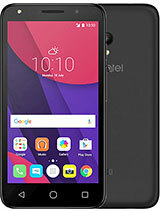 Total of 65 user reviews and opinions for alcatel OT-S319.